I picked up my passenger at ten in the morning. Instead of my Prius, I was driving a 1956 Chevrolet Bel Air convertible, top-down, mustard yellow, mint condition. The dang thing looked as if I just drove it off the showroom floor to take Peggy Sue Miller to the sock hop. Standing on his farmhouse front porch, he watched me slowly maneuver the gravel driveway of his farmhouse. Our route would take us 26 miles over two-lane blacktop ribboning through farm country. I held the speed under 30, but between the low grumble from the Bel Air and the whooshing wind, we almost had to shout. He nodded while I kept shouting the story. 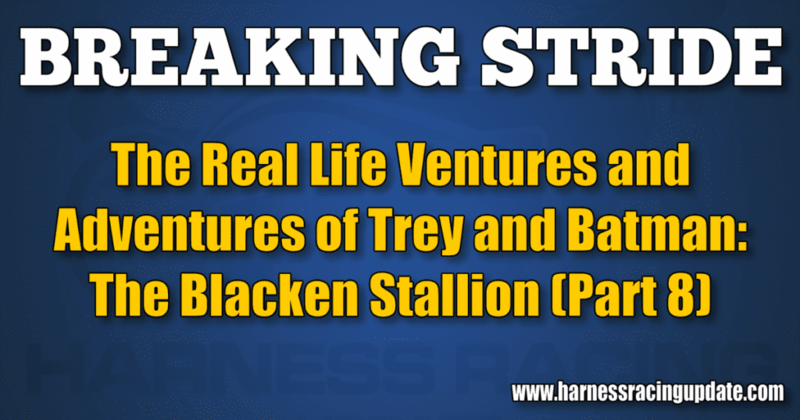 “Absolutely, write it down – Beau Blacken if it’s a colt and Blacken Beauty if it’s a filly. I wheeled the mustard colored behemoth down a long driveway and held up my fist for a bump.